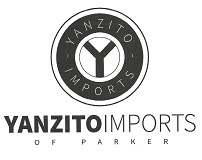 Yanzito Imports of Parker LLC was established in 2014 to provide our customers with high-quality, reasonably priced vehicle repair and maintenance. Our low overhead allows us to focus on our customers and their needs. We service all makes and models with a focus on BMW and MINI vehicles. Owner and master technician Nick Yanzito has over 20 years of experience in automotive service. After more than 16 years working at BMW dealerships, Nick has decided to bring his experience and skill to Parker, where he lives with his wife and family. Nick also shares his passion for cars with his students as an adjunct professor at Arapahoe Community College.